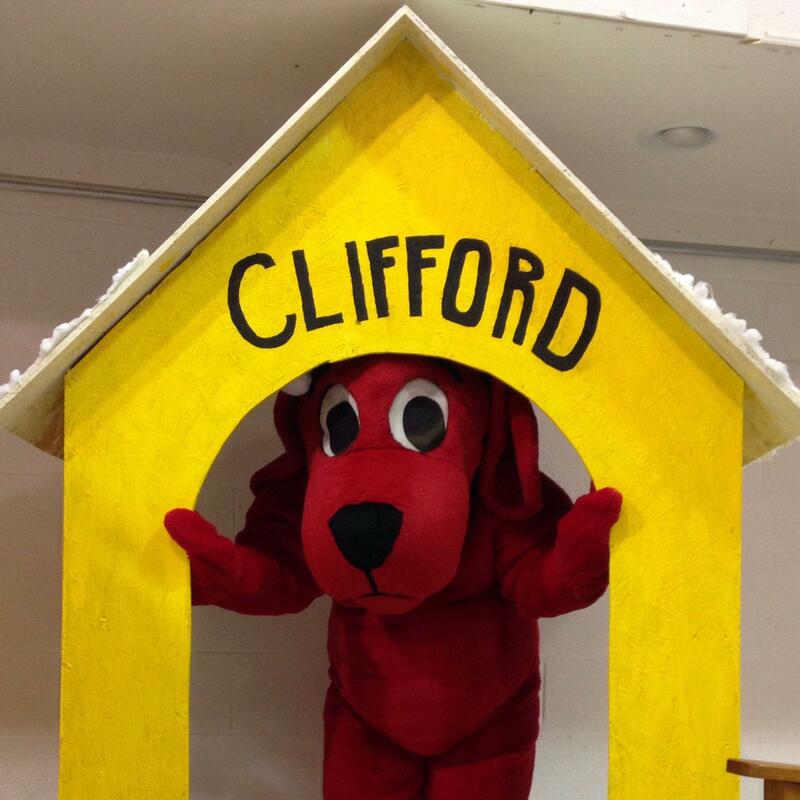 Clifford in his new house. Clifford's Big Ideas, (Share, Help Others, Be Kind, Be Responsible, Play Fair, Be a Good Friend, Believe in Yourself, Respect Others, Work Together and Be Truthful) were borne out of the curriculum developed for the award-winning animated television series - which can be seen on PBS KIDS.org The goal of BIG Ideas is to support children's growing understanding that the actions they choose make a difference to themselves and others. Welcoming Clifford to Monroe County students from the Monroe County Vocational Technical Center made him a new dog house. This served as a backdrop for pictures with Clifford. Again, students from the vocational tech center's Photography Class took pictures of the children with Clifford and with Santa. West Virginia Public Broadcasting's Education Outreach program is pleased to work with community organizations sponsoring literacy events in their community. For more information email education@wvpublic.org. This storybook Christmas was a BIG community affair. Being Big is about being Big-Hearted. It's about having a Big Spirit. Being Big is something we should all do more often. It only takes a little to BE BIG. 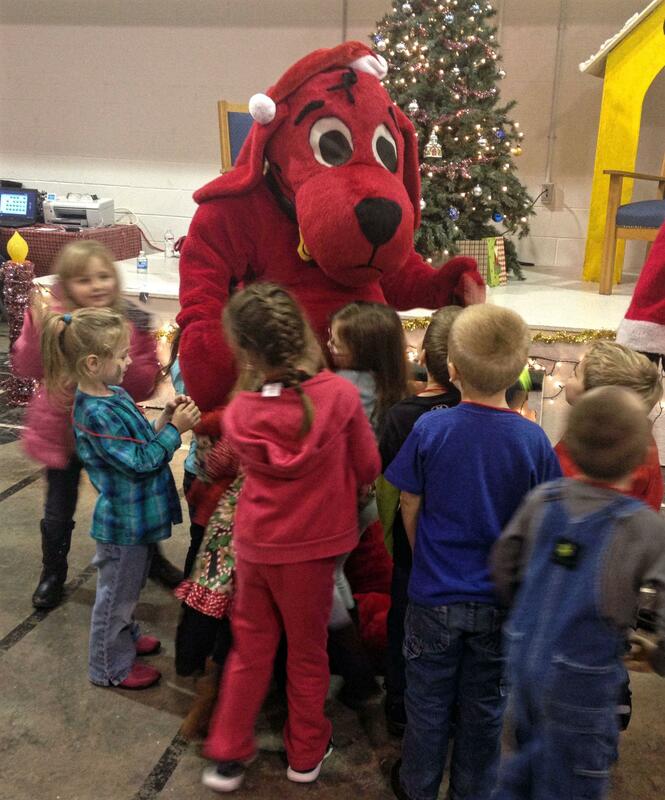 Clifford and his friends in Monroe County.